After so many years in the wilderness South Africa at last returned to the international community. We had little idea what to expect, but what we found was a wonderful surprise. We began by driving the Garden Route from Mossel Bay to Storms River, one of the most beautiful stretches of coastline imaginable. The hotels and restaurants were cheap, the food and wine excellent, and we received a genuine welcome from all we met. 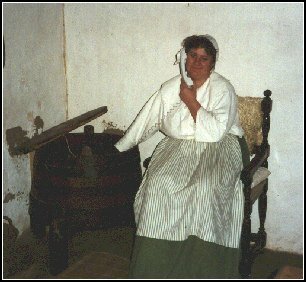 In 1996 tourism from abroad was still in its infancy. However, the charm of the people wherever we went more than made up for the occasional lapses in organisation. At Stellenbosch, a few miles East of Cape Town, you will find much of South Africa's history. Its many delights include a prestigious university, some magnificent Dutch colonial buildings, and the oldest house in South Africa. 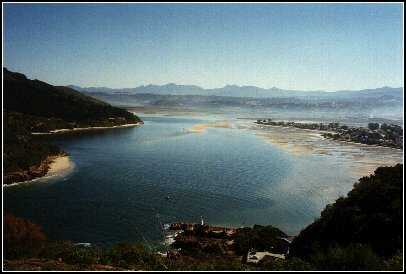 Knysna is situated by a beautiful lagoon, and the tides continually race through a narrow opening to the sea. There is a splendid restaurant close to The Heads, where we discovered that wonderful South African delicacy - the bacon and banana sandwich. 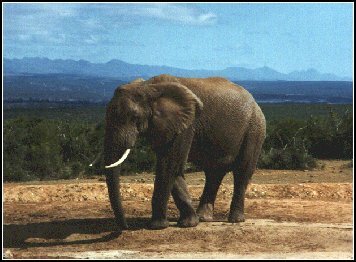 About thirty miles North of Port Elizabeth is the Addo Elephant Park, where hundreds of elephants live in their natural state. We stopped our car on an elephant track, and the big bull male we were watching made it quite clear that we stayed put at our peril. 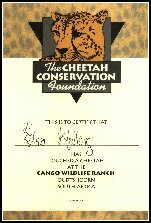 If you enjoy animals, especially the big cats, then there are few better places to be. 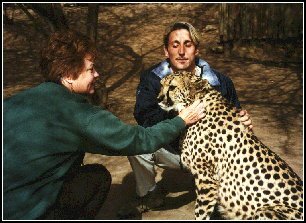 When it was my turn to play with the cheetah, I was very apprehensive at what appeared to be a deep throated growl - which turned out to be a purr of pleasure! Our holiday was organised by Travelbag.  They did a good job; we are happy to recommend them.